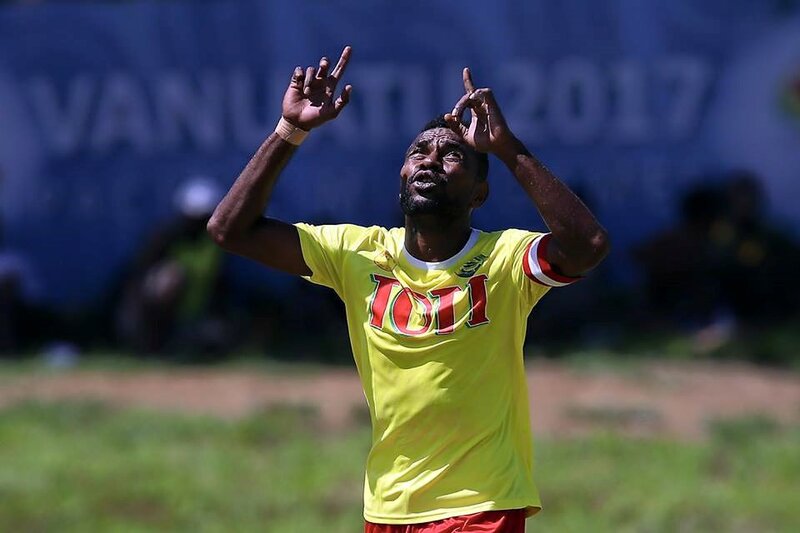 Papua New Guinea champion club Lae City Dwellers are on a journey of their own to qualify for the next round for the first time and therefore took an approach to the match that proved lethal to the game plan put in place by Alex Napa and his squad. Nigel Dabinyaba wasted no time in signalling his return to the OFC Champions League, breaking down the Tupapa defence after just ten minutes to open the scoring. Captain Raymond Gunemba followed that up just five minutes later with a goal of his own before Solomon Islander Tutizama Tanito netted in the 24th minute to give Lae a three goal lead. Tupapa pulled one back toward the end of the half when he slotted past Ronald Warisan from the spot, but that only seemed to incite Lae to do more damage in the second half. Dabinyaba nabbed a brace with his 64th minute strike, but Gunemba one-upped him by scoring a second-half hat-trick. Tupapa’s Maro Bonsu-Maro was rewarded for a lot of hard work when he scored a well-worked goal in the first minute of additional time, but the deficit was already too great for the Cook Islanders to overcome. Lae City Dwellers coach Peter Gunemba could not have been prouder of the performance from his side. “I’m very, very pleased for the boys’ performance. For the weather, we’re used to it so it’s not a problem for us. Tupapa coach Alex Napa knew it would be a step up from the Qualifier and felt his side did a lot of learning, and very fast. “For starters, congratulations to Lae City, I think they’re a quality side,” Napa said. “I think from this experience the boys will have taken on board that when there’s a lapse in concentration at this level, you get punished. If you turn off in the middle of a play, you get punished. Napa added that he felt his side were also able to show some great promise. Group A will be back in action at Korman Stadium in Vanuatu on Tuesday when Lae City Dwellers take on Ba at 2pm before Tupapa Mararenga play Nalkutan at 5pm.